Industrial « Global Market Insights, Inc. Tagged as one of the most profitable investment ventures of the recent times, smart HVAC controls market has made its presence felt owing to the ongoing trend of reducing energy consumption. Not to mention, the growing prominence of the Internet of Things (IoT) that has paved the way for building components to be connected to the Internet, resulting in the expansion of the building automation sector, has also led to smart HVAC controls market retaining a profitable position worldwide. Smart HVAC systems provide the ability to fine-tune temperature, air quality, humidity, and several atmospheric factors in homes and offices. These systems are equipped with high precision sensors for regulating and maintaining air quality and temperature, further improving occupant’s health and physical well-being. Indeed, the product can significantly reduce energy consumption and can easily adapt to changing environmental conditions while detecting need for maintenance. Using both advanced hardware and software technology these systems offer enhanced compatibility with smart devices while sustaining the concept of IoT, that has consequently propelled smart HVAC controls market trends. As far as lowering energy consumption is concerned, smart HVAC modules are seemingly the most energy efficient appliances in modern automated buildings. According to reports, traditional HVAC appliances represent 61% of residential energy consumption in the UK and Canada and 43% in the U.S. The International Energy Agency (IEA) claims that smart HVAC control systems offer controlled use of energy, as the system maintains specific heating, cooling, and ventilation requirements, avoiding access energy consumption while considering end-user comfort. Powered by the robust requirement to optimize energy consumption, smart HVAC controls market is thus on its way to garner substantial popularity ahead. 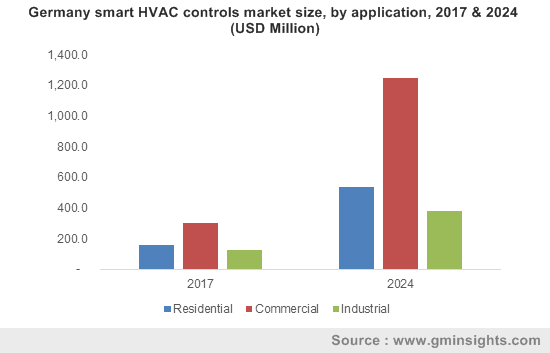 How has building automation emerged as a major driver for smart HVAC controls market? Building automation has lately gained commendable momentum, given that it has been proven to significantly reduce energy consumption and maintenance costs for home owners. Reports from the Buildings Performance Institute Europe (BPIE) 2017, claim that by adopting building automation, owners can reduce energy consumption by around 27% in households, while using smart technology can save an average of 23% of energy consumption in commercial offices. The International Energy Agency (IEA) predicts that adopting digitalization could save around 10% of total energy consumption in commercial and residential buildings by 2040, with efficiency gains largely depicting themselves in cooling and heating applications, specifically with the deployment of smart thermostats and sensors. This has gradually led to a rise in the number of more and more automated buildings, that would eventually result in the expansion of smart HVAC controls market. Reportedly, residential users are installing smart HVAC systems to ease the deployment and accessibility of heating and cooling systems. The improved efficiency and convenience of offered by these products has encouraged users to install the systems across homes and offices. Due to the compatibility of these products with smartphones and IoT, users can effectively precool and preheat their homes or offices using a dedicated app from afar. The product can also effectively offer information about air quality, maintenance, energy consumption and energy efficiency – in a nutshell, information that can be used by building managers, home owners, energy grid managers, and maintenance staff to take necessary steps for lowered energy consumption. 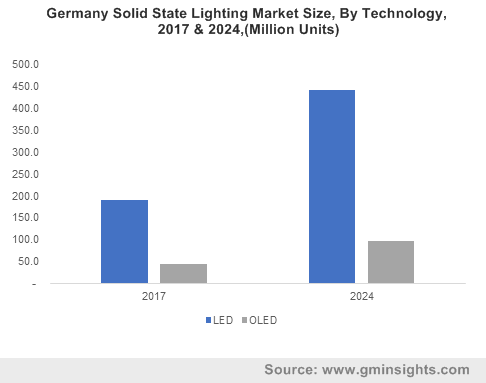 The demand for smart thermostats has also helped uplift the smart HVAC controls market share, especially on account of the product’s extensive demand in colder countries. Smart thermostats use high precision motion and door sensors to save energy by automatically turning off when residents are sleeping or away from home. These low cost, easy to install devices have reportedly gained popularity in colder countries including Russia, UK and Germany, UK. Easy configuration and integration with smartphones and other home appliances have encouraged users to implement these systems on a large scale, augmenting smart HVAC controls industry size. Speaking with respect to the geographical penetration, North America is anticipated to help impel smart HVAC controls market, primarily on account of the harsh climatic conditions in some of the continent’s zones and the large-scale adoption of smart homes. Customers are seamlessly adopting the product to enable control over temperature & humidity to enhance their home comfort. Rapid development in the building automation sector and widespread technology adoption in the country is expected to propel the demand for these products in the region. Propelled by the fact that smart HVAC enables users to control conditions like temperature, humidity and even fragrance in homes and offices, and helps maintain air temperature and quality at optimum levels, these devices are used extensively to improve the quality of life for occupants. The growing integration of these HVAC systems with smart phones and home appliances and the expansion of the building automation industry will massively augment the smart HVAC controls market size in the years to come. This entry was posted in Sustainable & Smart Technologies and tagged Commercial, Industrial, Residential, Smart Air Vent, Smart HVAC Controls Market, Smart HVAC Controls Market Growth, Smart HVAC Controls Market Report, Smart HVAC Controls Market Research, Smart HVAC Controls Market Share, Smart HVAC Controls Market Size, Smart HVAC Controls Market Trends, Thermostat. On the grounds of garnering heat and electricity savings, most of the countries have been installing heat meters in industrial, commercial, and residential buildings. 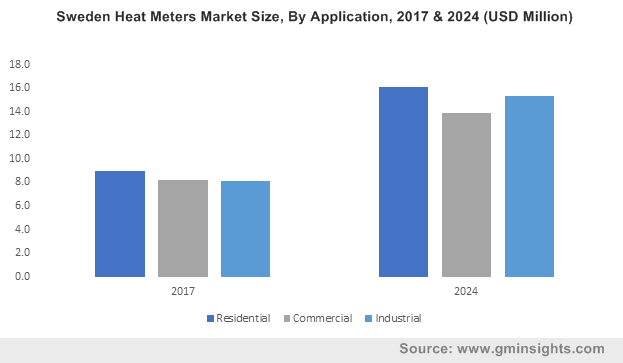 The large-scale deployment of energy consumption measuring equipment has generated lucrative opportunities for the giants in heat meters market. In addition, many financial organizations also have been supporting regulators to install heat meters by providing favorable funding. For instance, in 2017, the Europe Bank for Reconstruction and Development (EBRD) has sanctioned USD 27 million loan to deploy heat meters across the residential sector. Over the last few years, EBRD has been supporting many nations which are looking forward to harnessing sustainability and energy efficiency. Another region where heat meters market has been gaining traction is Kazakhstan, wherein the fluctuating climatic condition has been impelling the product requirement. Apparently, in the summer season, the heat in Kazakhstan can increase beyond 30 degree Celsius and in the freezing winter, the temperature reaches to -40 degree Celsius. Amidst these extreme climatic conditions, energy efficiency is playing a vital role in the region, leading to the deployment of heating and cooling systems. The deployment of heat meters to save electricity and heat will also help district cooling/heating system firms to control the system losses, optimize the energy supply, and reduce the energy wastage. In 2017, the Kazakhstan government fit heat meters in about 45% of households and was planning to cover more than 80% volume of household buildings within three years. In another instance, the Swiss government and the International Finance Corporation (IFC) have also lent support to Ukraine to create more energy efficient homes. In this regard, Ukraine’s State Agency for Energy Efficiency has designed a program dubbed as Warm Loans to improve the heating system of homes. In most of the apartments across Ukraine, district heating systems have already been deployed, but due to more heat loss, energy bills were perpetually high. Reportedly, households in Ukraine account for more than 50% of its overall natural gas production. The remarkably growing awareness among the Ukrainian people about the rising domestic heating bills is thus estimated to fuel heat meters market size. This entry was posted in Sustainable & Smart Technologies and tagged Chemical, Commercial, Heat Meters Market, Heat Meters Market Analysis, Heat Meters Market Report, Heat Meters Market Share, Heat Meters Market Size, Heat Meters Market Trends, Industrial, Mechanical, Pulp & Paper, Refinery, Residential, Static, Ultrasonic, Vortex. 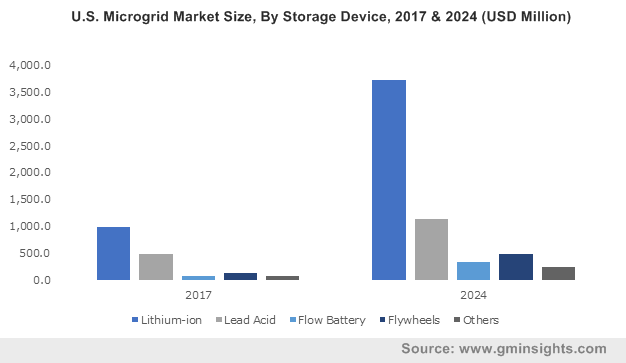 In an era defined by the increasing adoption of robotics, robot sensor market has quite overtly consolidated its stance in the overall electronics space. Robotic automation is now being deployed across a slew of applications, from industrial and domestic to commercial and logistic applications, for achieving several operational and workplace benefits. Apart from being used for obtaining long-term performance benefits at the workplace combined with efficiency, robots are also being deployed on account of their lesser susceptibility to fatigue. The increasing implementation of robots to minimize workplace risks and reduce fatigue is certain to boost robot sensor industry. 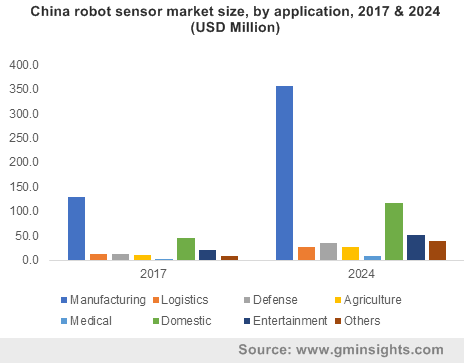 Powered by the current trends of digitalization and innovation, robot sensor market giants have been working toward developing advanced robotic sensing systems. The initiatives taken by the researchers and product developers to increase the effectiveness of conventional sensing systems implemented in the robots will revolutionize the overall robot sensor industry. For instance, recently, a few researchers from the Chongqing university based in China developed a self-powered triboelectric auditory sensor which can be used to manufacture electronic auditory system-assisted external hearing aids that can be installed in intelligent robotics applications. The advent of next-generation auditory systems will thus prove to be ideal for enhancing communication between human beings and robots that would be useful for improving industrial outcomes. Elaborating on the human-machine interaction, it would be prudent to mention that the shifting focus of the automakers toward the development of autonomous vehicles would prove to a breakthrough that would help augment the commercialization graph of robot sensor industry. Though the current ADAS system does not support high-level automation, the continuous involvement of automakers toward launching fully automated vehicles is likely to generate lucrative opportunities for robot sensor market contenders. In addition to this, for improving workplace productivity, many automakers and industrial product manufacturers have been giving preference for robotic automation. 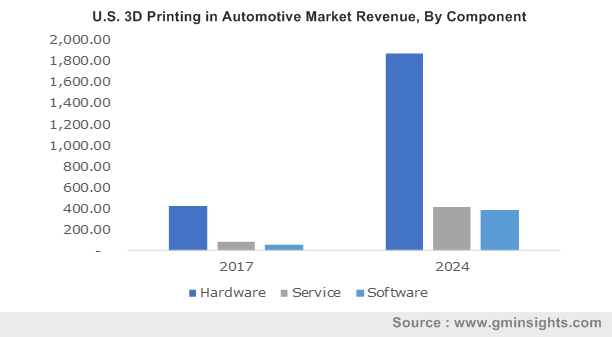 The increasing acceptance rate of robotic automation across the automotive sector will thus massively propel robot sensor industry share over the years ahead. Recently, one of the sensor manufacturing start-ups, Baraja launched a spectrum-scan Lidar which can be used to increase the reliability and flexibility of robot cars. The newly developed scanner provides full control to the car’s computer to make the changes in driving, depending upon different road conditions. Another advantage of installing effective sensors in vehicles is the protection they provide against several potential damages. 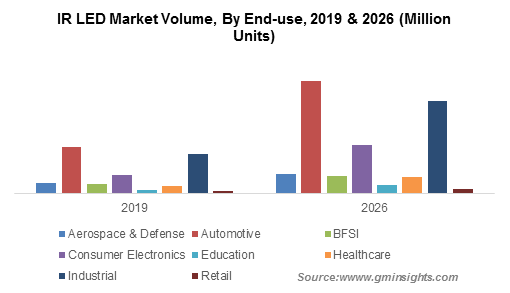 The extensive requirement of sensors for regulating various industrial and automotive applications including robotics, camera recorders, telematics, ADAS, cluster, IoT, ECUs, HUD, and infotainment systems has created revenue generating opportunities for the players in robot sensors market. Focusing on the increasing demand for robotic automation, renowned robot developers have been joining hands with leading product distributors for extending their regional reach. The surging demand for robots across myriad verticals will also have a positive influence on the development of sensors. Validating the aforementioned fact, a few days before, Techman Robot signed a deal with OMRON to form a business alliance for distributing its collaborative robots across the globe. In addition, the duo will also collaborate to develop next-generation collaborative robots that could enhance the working harmony between human and machines. In China, one of product manufacturing firms located in Dongguan city replaced 90% of its human workforce with automated machines which helped them to increase the plant productivity by 250% and reduce the chances of defective part production by 80%. Such productive statistics have been possible solely because of effective robotic sensors systems. The staggering demand from the industrial, manufacturing, and other commercial sectors to ensure efficient outcomes will have a favorable impact on robot sensors industry trends. The increasing availability of next-generation and AI-assisted robotic systems will also propel the product demand over the years ahead. Driven by the ever-rising acceptance of robotic automation across the globe, robot sensor market will surpass a revenue collection of USD 4.5 billion by the end of 2024. This entry was posted in Electronics and Media and tagged Acoustical, Collaborative, Force Torque, Industrial, Laser Range, Proximity, Robot Sensor Market, Robot Sensor Market Size, Robot Sensors Market, Robot Type, Robotics Sensor Market, Service, Tactile, Ultrasonic, Vision.